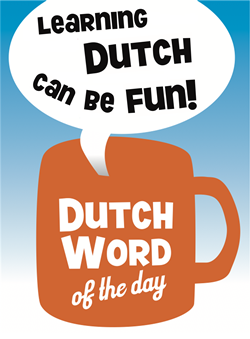 This entry was posted in Dutch word of the day, DWOTD 1.0, Vocabulary Basic and tagged formatie, formeren, gedogen, gedoogakkoord, gedoogsteun, kabinet by Laura. Bookmark the permalink. But I guess not so, if the object of the negotiations is to beat a price down, when ‘onderhandelen’ is better. 2) Would this be a correct usage of ‘gedogen’? @Carl – yes you can also phrase it the way you suggest. I guess a difference could be that the latter option allows one to put extra emphasis on the ’76 zetels’. But really it doesn’t matter. The main sentence is ‘Het kabinet haalt 76 zetels’ and the “met steun van Wilders’ partij” is additional info that you can insert or put at the end. ‘Formeren’ is not the same as ‘onderhandelen’ and basically translates as ‘to form’; however the process of ‘formeren’ in case of a ‘kabinet’ comes down to negotiating and formally agreeing. And I guess that’s why Laura chose to emphasize with ‘onderhandelen’. Regarding ‘gedogen’; I only know the verb ‘gedogen’ so my guess is one cannot use it the way you suggest.